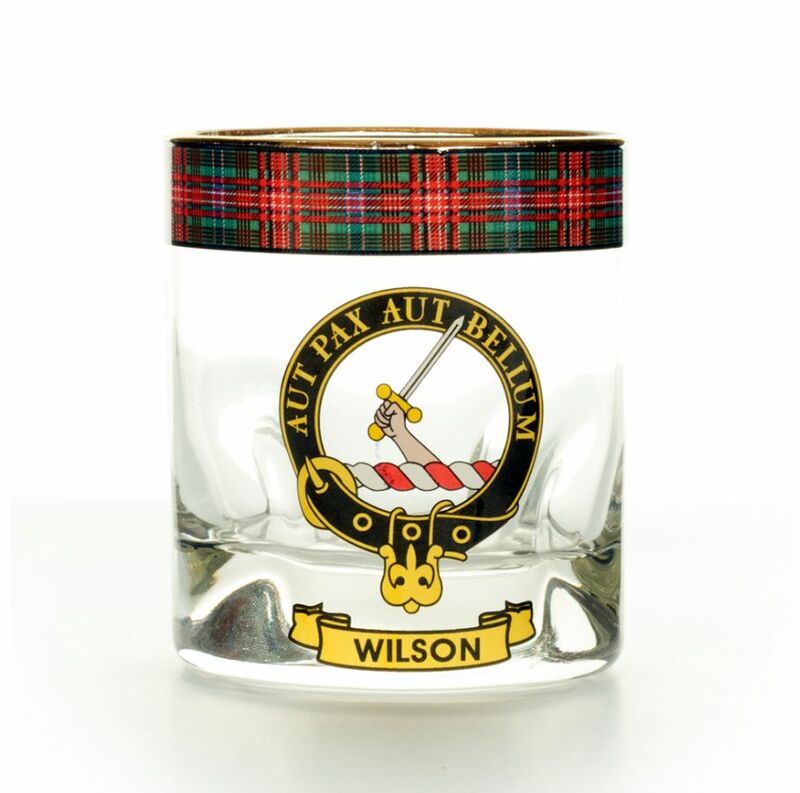 These Clansman Crest Tartan Whisky Glasses are made to the highest standard with attention to detail. These glasses are a massive hit as gifts all year around, but especially at Christmas, so get your order in early! They are heavy dimple based and carefully fired by kiln to provide unsurpassed quality. The glass is dishwasher proof and is a true delight to hold in the hand. All of these unique designs have been approved by the Standing Council of Scottish Clan Chiefs. Please note sometimes that the colours in the photos can appear a little less vibrant out than with the real glass tumblers. 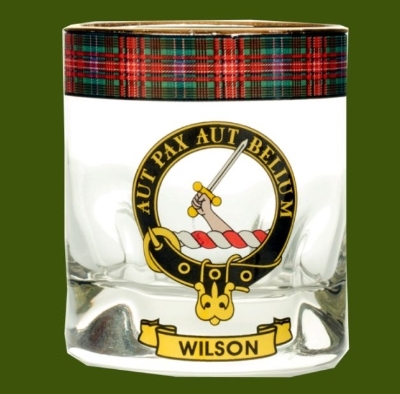 Have you seen your Scottish Clan Crest or Tartan yet ? Ask me about it today !! If your name is not associated to a Scottish Clan then you will have the option to choose a Scottish design. These are unsurpassed in both quality and authenticity and guaranteed to bring interest to many generations to come. There is also a set of Four (4) glasses of this style available in my store. Please see my other listings for details and pricing. There are quite a few different styles of glassware, steins and other barware available. These beautiful glasses need time to be made BEFORE they can be sent to you. Please allow sufficient time for your order to arrive.